The first stable version of WinSnap 3.0 has been released today! Now it supports third-party language files. Portable and U3 Editions are also available for download. Added option "Show prompt dialog before exit if image is not saved"
Old language files are not supported in this version of WinSnap. 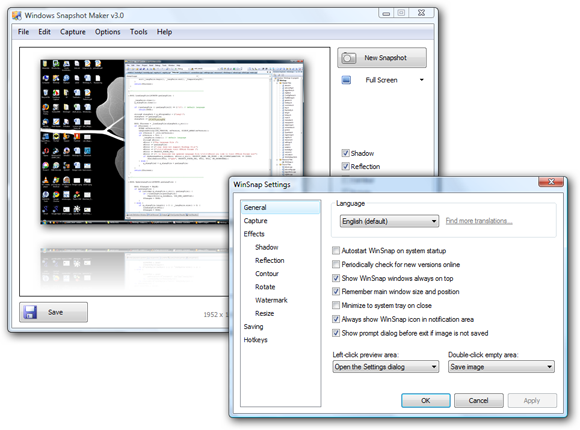 To download or submit translations for WinSnap v3.0, visit Language Files for v3.0.